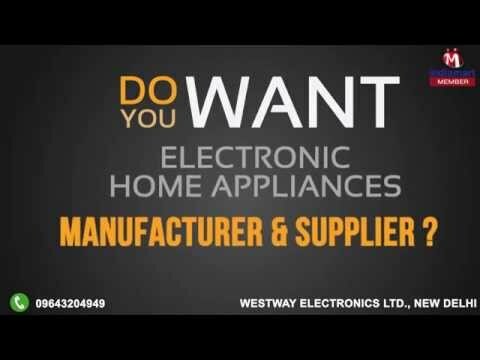 Welcome to Westway Electronics Ltd., established in the year 1999, we are the prominent manufacturers, suppliers and traders of a diverse gamut of Electronic Home Appliances. In this range, we offer Weston LED Television, Weston DVD Player and Weston Computer Multimedia Speaker System. Besides, we are being acknowledged for rendering reliable and flexible Maintenance and Repairing service for our valued customers. Offered products are made from supreme quality material as per the set industry norms under the direction of our skilled team members. We have been able to compile all our business related operations in a streamlined manner, with the help of our well trained teammates, who possess expertise in their respective domain. Along with this, we have a top notch infrastructure set up, which is full with all the required machines and raw material that are required to maintain rate of fabricating of the offered products. To cater our clients diverse requirement in an effective manner, we are offering our products in varied stipulations. We are trading in Weston brand.